Home > NOV 2017 > Trends affecting MSME credit in India...! India has 388 SME clusters across 180 districts contributing to 40% of the country’s industrial output and 35% of the direct exports. In terms of employment, MSME is second to agriculture and has provided employment to 14 million people. 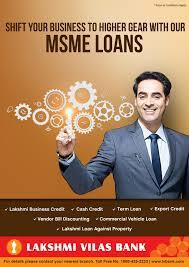 In the last 7 years, the number of MSME enterprises has grown at 4.4%. During the same time, the loan penetration has increased 2-3 times. While the total demand for credit is ~ INR 40 lakh crores, the current supply through formal channels is 60% indicating that informal channels like moneylenders, etc. are still existent. This is an opportunity for formal channels like banks and NBFC’s to capture in the next few years. 5. In the last few years, digital retail channel has blossomed, this has also led to heavy investments in ramping up the supply chain to support this infrastructure. There has also been immense growth in the Engineering & Automotive industry, food processing industries thereby fueling a growth in supply chain dominated SME industries. 1. Providing adequately trained and skilled manpower: With more and more sophisticated machinery usage, the industry needs have shifted to highly skilled operators and there needs to be a seamless supply in the near future. Skill programmes through the National skill development agency & National council on vocational training could potentially help bridge this skill gap. 4. Continued supply of credit: Currently despite the best efforts 40% still rely on the informal sources for funds. There needs to be a concerted effort to provide funds for these sources.